The mice seems to be something of the past, or at least something that no one cares about unless they play with their computer. Logitech is one of the best known peripheral brands and has surprised with the launch of Logitech G Powerplay, a pad that charges wireless mice while in use. Logitech has shown the new Powerplay technology, integrated in a new pad for games and that allows charging the battery of compatible mice. This contact loading technology is not exactly new, neither in mice, but the way they have raised it, if it has been innovative. It has not used existing technology such as Qi, the standard that charges mobile phones by contact, as in the LG G6 or the Samsung Galaxy S8. They have developed their proprietary wireless charging format for four years. Logitech G Powerplay consists of several parts. The first is a semi-rigid charging cradle that is connected directly to a power outlet, so do not get rid of the cables on your desk. Then there are two special pads for gamers, one with a hard surface and another softer, depending on your preference at the time of move when playing. This new charging system for mice is going to be a boost for the wireless gaming mice, (mistakenly at least in the last generations) slower than those connected via cable. 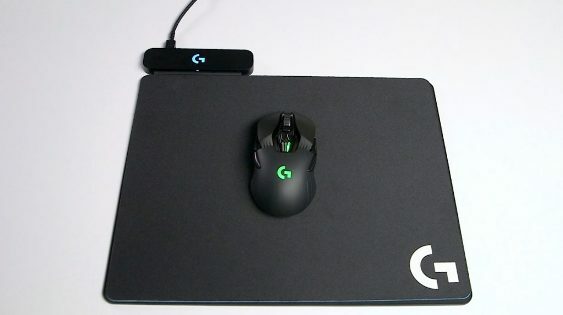 The Logitech G Powerplay mat will go on sale in August for $100. But it requires having one of the mice compatible with this technology. It will be the G903 that will cost $150 and the G703, which will go for $100.